Please mention initials needed in "notes" during checkout. 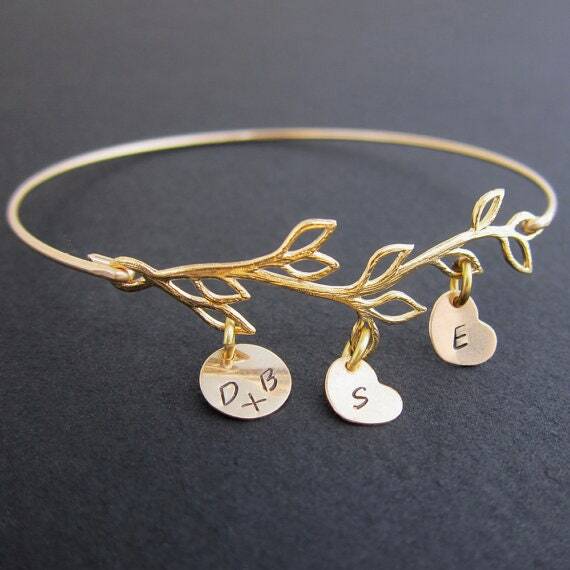 If notes box doesn't appear, message me your initials after you order your Anniversary gift for her bracelet or bride gift. 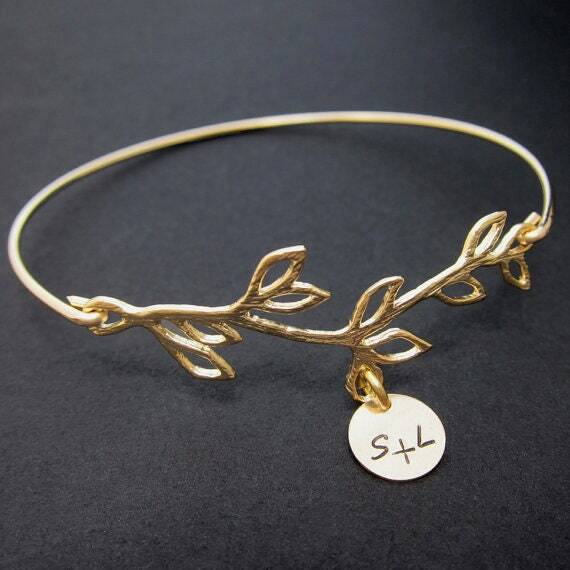 Your choice of olive branch in gold plated, rose gold plated, silver plated, or sterling silver olive branch with couple's initials on a charm in 14k gold filled, sterling silver, or 14k rose gold filled depending on your branch selection will be transformed into a custom bracelet with bangle band choice in brass, silver filled, 14k gold filled, 14k rose gold filled, or sterling silver. 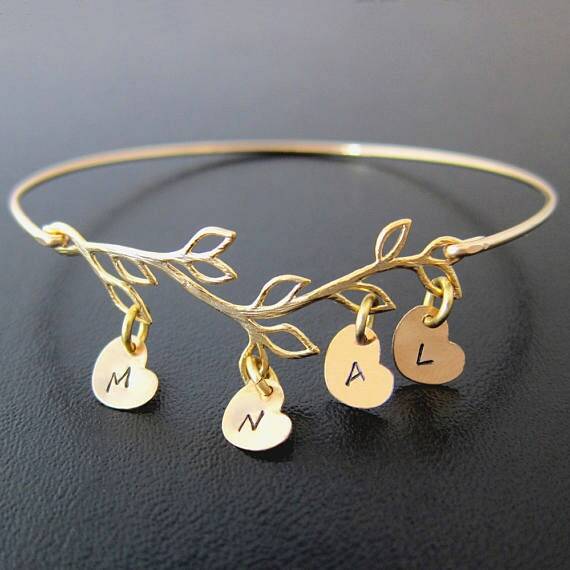 A single initial can be stamped. Or I can add more initial charms as seen in the 4th picture. And I can use hearts instead of discs. Or a combination, see pics. 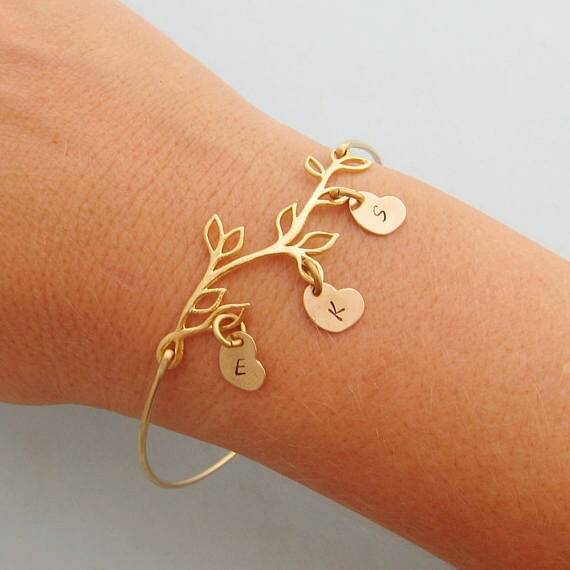 This anniversary gift bracelet for her under created and hand crafted with great care and love for you and yours. 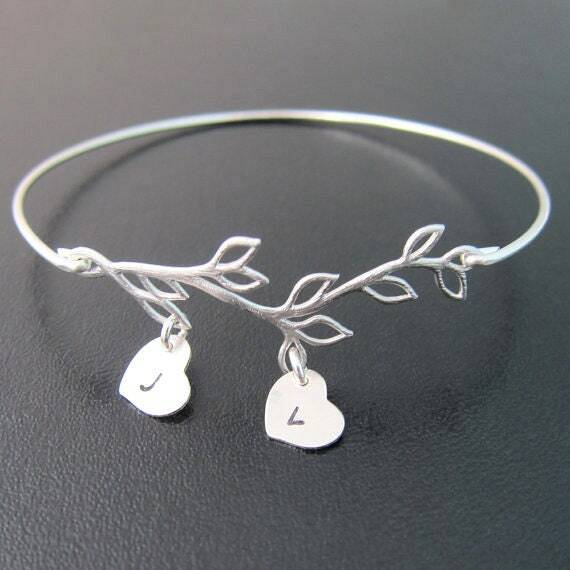 All of my bangles are special handmade creations that are based on Frosted Willow designs. I hope you love your birthday gift for her.